Vladimir Ilyich Lenin has an arresting stare. 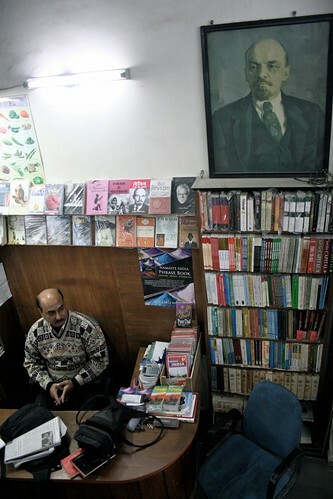 Meet the Marxist revolutionary at a bookstore in the capitalistic Connaught Place, central Delhi’s premium shopping district. His portrait hangs close to a shelf stocked with bestselling trash such as Rich Dad, Poor Dad and Love Story. 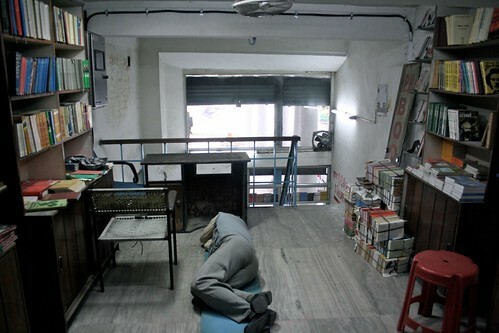 Opened in 1945, People’s Publishing House (PPH) in Marina Arcade, Outer Circle, is the Capital’s saddest bookshop. As storekeeper of an excessively flawed ideology, its signature collection consists of inexpensive books that were published in a country that no longer exists: Soviet Union, aka USSR. 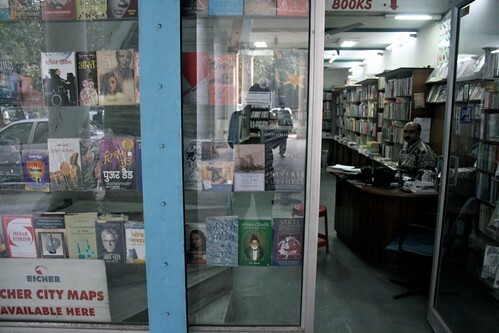 PPH has two more outlets in 5-E, Rani Jhansi Road and near Central Library, Jawaharlal Nehru University. 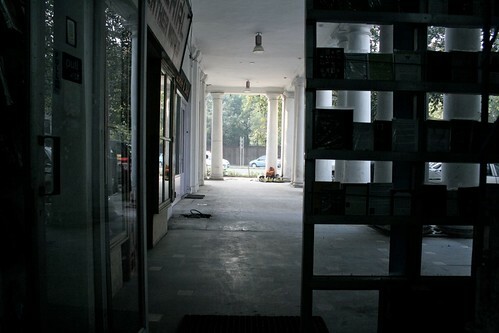 The branch in Connaught Place is precious because it is one of the few surviving landmarks of this colonial-era arcade, which is fast losing out its old shops to foreign retail chains. 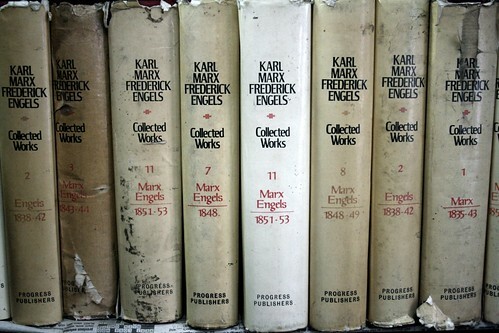 Come here to get the complete 45 hardbound volumes of communist ideologues Frederick Engels and Karl Marx – printed by Moscow’s Progress Publishers, Rs 200 each. The attic has a handsome hardbound edition of selected speeches of Lenin, the leader who created the world’s first communist state in 1917. 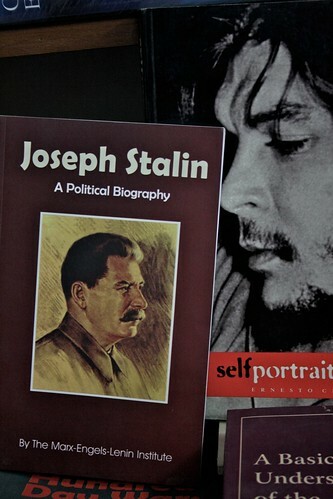 Another novelty is a hagiography of Joseph Stalin, Lenin’s successor, who murdered millions of Soviet people. 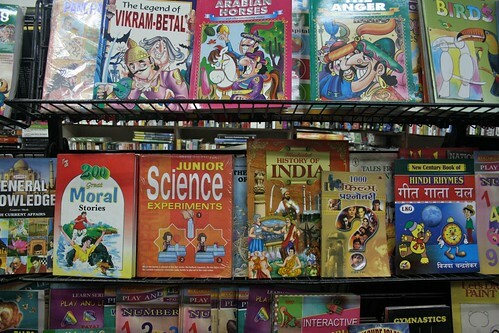 “We are not fond of Stalin,” says Rishav Kumar, the shop’s sales-in-charge. 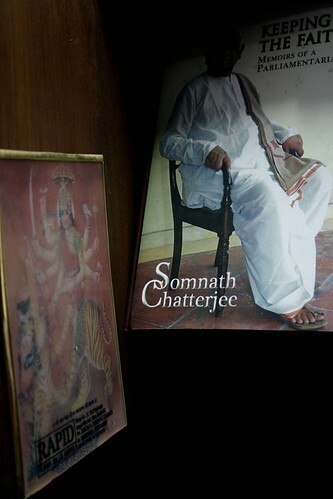 He is a member of Communist Party of India, which has a trust called People’s Publishing House running this bookstore. “We want the revolution to work up its way slowly. Stalin wanted quick results, like Mao.” Oh yes, the Chinese communist dictator too is here. The red book– Quotations from the Writings of Mao Tse-Tung – is placed next to a coffee table volume of Argentine Marxist guerilla icon Che Guevra. The stacks of Maxim Gorky’s Mother, produced by Raduga Publishers, is gathering dust. 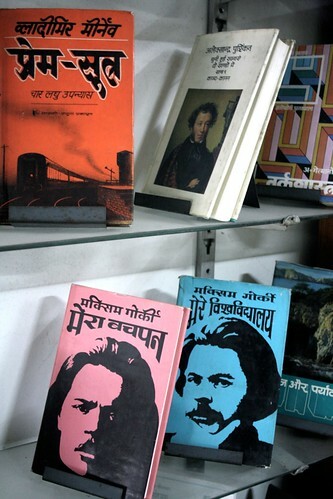 Today, such literary works are considered crude pamphlets of communist propaganda but they belong to an era when their authors had huge influence. Printed in now-extinct USSR, these novels are mementos as valuable as Chairman Mao wristwatches. Beside novels of great Russian artists like Leo Tolstoy and Alexander Pushkin, PPH has a few rare books not to be found anywhere else in Delhi. An entire shelf is dedicated to hardbound copies of Ten Days that Shook the World, a classic pulse-racing account of the Bolshevik revolution by American journalist John Reed. The next shelf has copies of The Red and the Black, a vivid description of the life of Soviet miners by Welsh author John Summers. This book is used in Russian schools to teach English. There are no volumes on the dark areas of USSR’s history such as Gulag labour camps, Ukrainian famine, Chernobyl’s nuclear disaster and many more. Expect no Solzhenitsyn or Mandelshtam. Indian English is so beautifully expressive (and archaic) at times! ← Photo Essay – Are Newspapers Dead?